Raina and Amara are sisters. They go on a road trip with their mom and younger brother, Will, from California to Colorado for a family reunion. There are flashbacks throughout the story of their relationship. When Raina was little she asked for a sister and then she got one. But she wasn’t the best friend she thought she would get. Amara cried and whined a lot, and she didn’t want to do the same things Raina liked. They also had to share a room. They had different opinions on pets, with Amara wanting a snake and Raina being terrified of them. When Raina gets her own room, Amara is finally given a snake for a pet. But it needs to be fed live mice which their mother doesn’t want to do. They take it back to the pet store but it slithers out of the bag and into the car, disappearing for a long time. In the end, Raina and Amara have to learn that though they don’t get along all the time, they have a special sister relationship. This is a really funny graphic novel. It’s the follow up to the book Smile, which is about Raina getting braces. This story also deals with think that kids experience, such as wanting a sibling and going on family road trips. Neither of these things turn out as planned either, since Raina and Amara don’t get along, and they don’t have a good time on the trip. Though I don’t have any sisters, I really enjoyed this book. 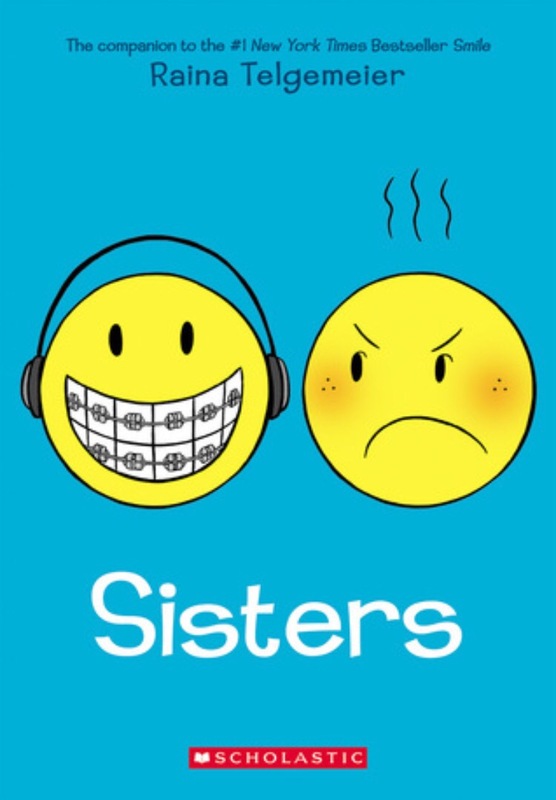 It’s very funny, and has Raina Telgemeier’s familiar style. I hope she makes other follow up stories.